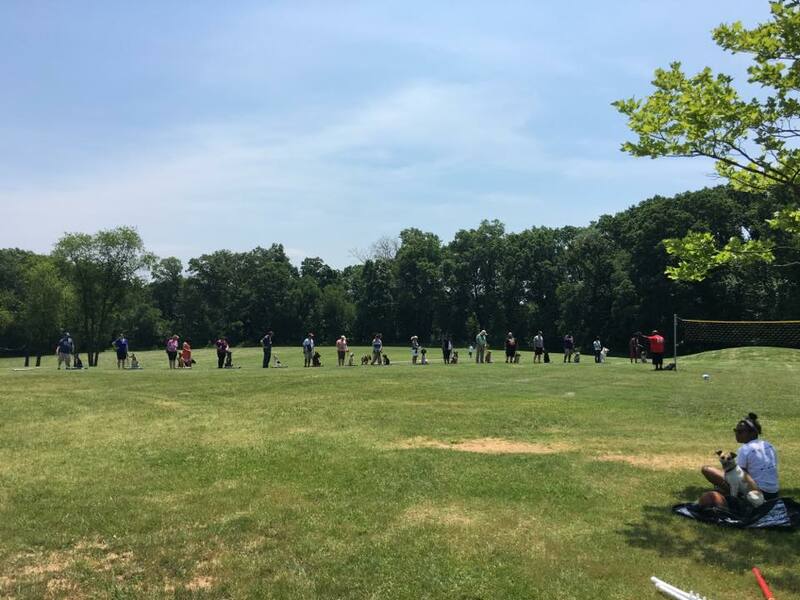 Maryland Dog Training – Group Classes Are Forming Now! iCare K9’s group classes are an excellent way for your dog to learn basic obedience and become socialized with other dogs and people. Many of our dog parents enjoy the social setting of our group classes, make many new friends, and are always encouraged by the support of their new classmates. Our expert instructors provide a safe and stable environment where dogs and people can be introduced and socialized in a safe and controlled environment. Class sizes are kept down to a manageable level while being “crowded” enough to provide the distractions and social settings that will enhance your dog’s training experience. 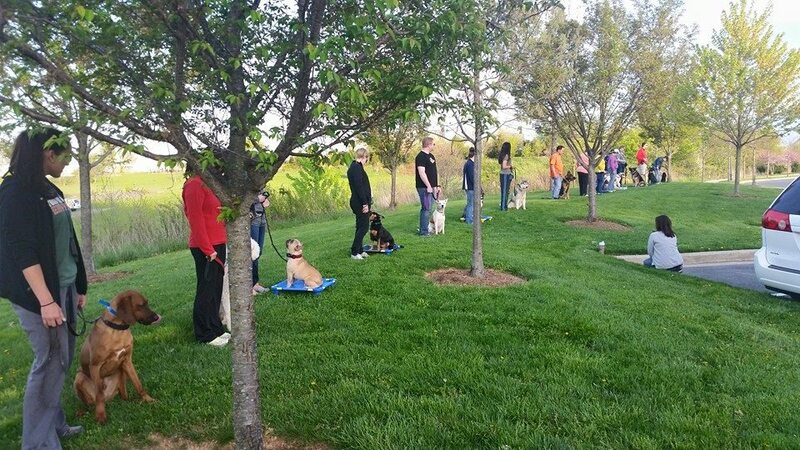 Classes are held weeknights and weekends at our Gaithersburg dog training facility. Contact us at 301-963-6962 to get started today! Your puppy will learn sit, down, and come when called. You’ll learn how to prevent jumping up, nipping, play biting, leash biting, and dominant displays. Our trainers will also address crating, housebreaking, accepting grooming/handling calmly. Our trainers teach you how to use rewards to achieve desired behaviors. Classes are held Saturday mornings. You and your pup will receive a graduation certificate from the AKC STAR Puppy Program upon completion. Basic Obedience is beginner training for dogs over 1 year of age. Your dog will learn basic commands such as sit, down, stay, and come when called. We’ll also cover walking on a loose leash, stay on “place,” and address bothersome behaviors as needed. Intermediate Obedience is a continuation of Basic Obedience training. In this class, we will reinforce basic obedience and work on more advanced training tasks. One goal of this class is to help prepare the dog and handler for the AKC Canine Good Citizen certification. Prepare for AKC Showmanship competitions. You will learn all about breed standards, show dog care and grooming, and ring showmanship procedures. Your dog must be AKC registered and notneutered or spayed. Prepare for AKC Junior Showmanship competitions! Students learn breed standards, care and grooming of their dog, Junior Showmanship ring procedures, and how to best present their dog. Junior Showmanship competitions are open to children from 9 to 18 years old. Their dog must be AKC registered, but can be neutered or spayed. Juniors are judged on their ability to present, or handle their dogs within the same formats and guidelines as those who compete in the breed ring. The quality of their presentation, not the dog, is judged. The values, attitudes and responsibility learned through Junior Showmanship will serve youngsters well throughout their lives and help establish a bond with them and their dog. Dogs love to run and jump and this is a great way to exercise their brains and bodies! Class includes the introduction to jumps,tunnels, teeter totters and more. Learn hand targeting, handling & training techniques for beginner. Contact Us Today for Specials, Promotions and Event Discounts. We proudly serve the cities and towns of Aspen Hill, Bethesda, Chevy Chase, Clarksburg, Damascus, Gaithersburg, Germantown, Kensington, Olney, Poolesville, Potomac, Rockville, Sandy Spring, Silver Spring, Takoma Park, Wheaton (MD), and Washington D.C.